The Global Aquaculture Alliance is pleased to announce that Aqua-Spark will be a contributing partner of GAA’s GOAL 2019 conference as part of a memorandum of understanding (MoU) that the two organizations signed on March 26. 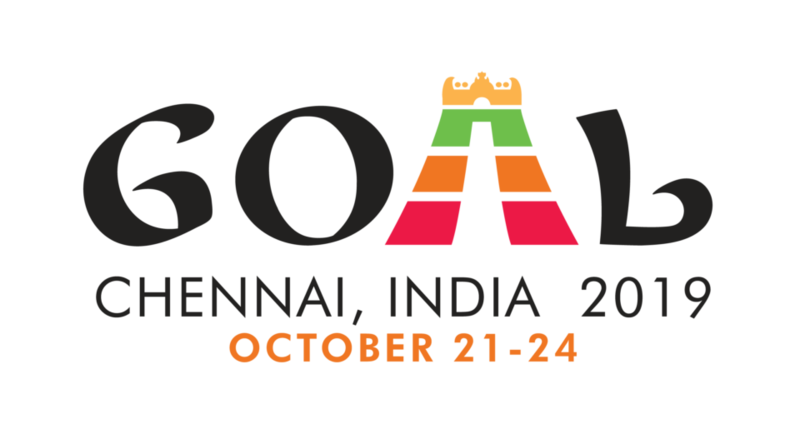 This year’s GOAL (Global Outlook for Aquaculture Leadership) conference will be held at the Leela Palace in Chennai, India, from Oct. 21 to 24. It is the first time that GOAL will be held in India in its 19-year history. It is also the 20th installment of GOAL as well as the 10th time that GOAL has been held in Asia. Based in Utrecht, the Netherlands, Aqua-Spark is an open-ended investment fund specializing in early- to growth-stage sustainable aquaculture businesses around the world. As part of the agreement, Aqua-Spark will contribute to the conference program, acting as advisors on the content for the morning plenary and contributing to the content for the afternoon breakouts. Aqua-Spark will also invite its 16 portfolio companies to participate in GOAL 2019. “GAA is a leader in bringing the industry together. GOAL does a great job of connecting local industry to the global picture, helping to coordinate aquaculture and tell a more complete story. GOAL is a must-attend event, and we are thrilled to be a contributing partner,” said Amy Novogratz, co-founder and managing partner of Aqua-Spark. “Aqua-Spark’s approach to aquaculture investment is creative and insightful. Rooted in both sustainability and profitability, our groups’ visions for the future of the industry are nicely aligned,” said James Wright, GAA’s editorial manager and editor of the Global Aquaculture Advocate. Also as part of the agreement, Aqua-Spark will encourage its global network of partners and investors to participate in GOAL 2019. There are currently nine companies sponsoring GOAL 2019, including five platinum sponsors (Apex Frozen Foods, Devi Fisheries, Devi Seafoods, Preferred Freezer Services and Sandhya Marines), three gold sponsors (Falcon Marine Exports, U.S. Soybean Export Council and Veramaris) and one silver sponsor (Grobest). Interested in sponsoring GOAL 2019? Contract GAA Relationship Manager Sally Krueger at sally.krueger@aquaculturealliance.org.